Move right in to this modern & beautifully renovated home on the top floor in a 70's cool building! Large one bedroom with an open & airy layout that offers spacious living room, large outdoor balcony & a separate area for dining. Enjoy therich chocolate floors, new countertops in the bathroom & kitchen, new fixtures, closet organizers & the cozy gas fireplace in the living room. A dishwasher has been added for that modern convenience & laundry is just steps from the door. One secured parking stall & storage locker are also included. 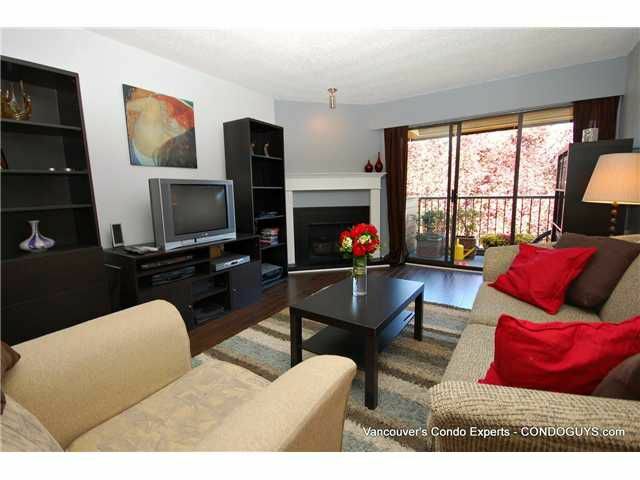 Fantastic central location with transit & shopping just steps away. Great building & complex that offers an indoor swimming pool plus sauna. Call now! Time to ELEVATE YOUR LIFESTYLE!